Curiousity & Experience: Exploring the lines between classroom learning & Life. 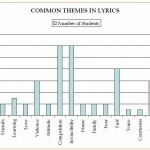 -Analysis of Students Lyrics: Each group of students wrote original lyrics for a rap song. All of the groups (3 groups and 2 solo artists) chose to perform rap songs. The lyrics for these songs were the main source of data for this study. -Anecdotal Notes: After each class session I took notes about things that stood out for me about each class session. 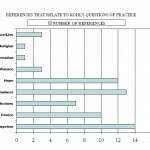 This data source helped me track interesting changes in students and the progress of the lessons. -Videos: The end result of the project was a music video and a dvd cover for each group. These final DVDs also provided a data source. What would students say if given the opportunity to speak about whatever came to mind. Each member of a group had to submit a final typed draft of their lyrics and the words to a collaboratively written chorus. 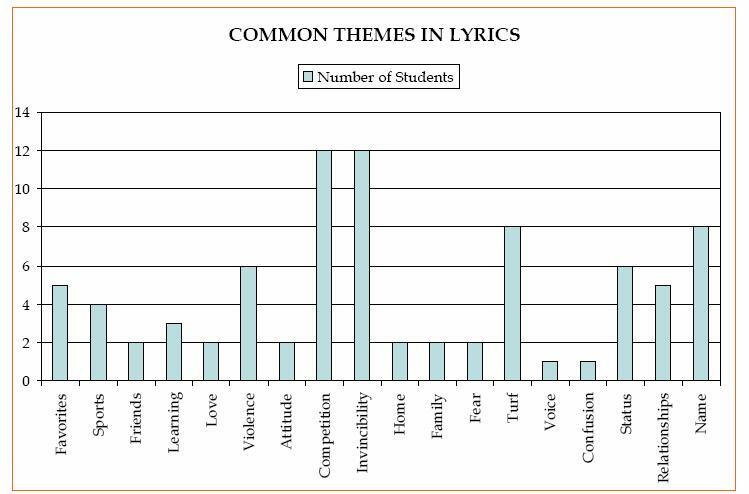 To analyze this data I first retyped each student’s individual lyrics and separate chorus into complete songs. This gave me an opportunity to just read and absorb what students were taking about first without any point of analysis. After retyping the lyrics I came back and locating any general themes in what students were rapping about. Each theme was counted only one per student not according to the number of times that theme came up. Some students repeated a theme several times in there lyrics. I included every theme that emerged even if it came up only once. However, if the same theme came up in difference specific terms I recorded those as groups of themes. For example clothes, cars, and jewelry were all counted as status items in the analysis. 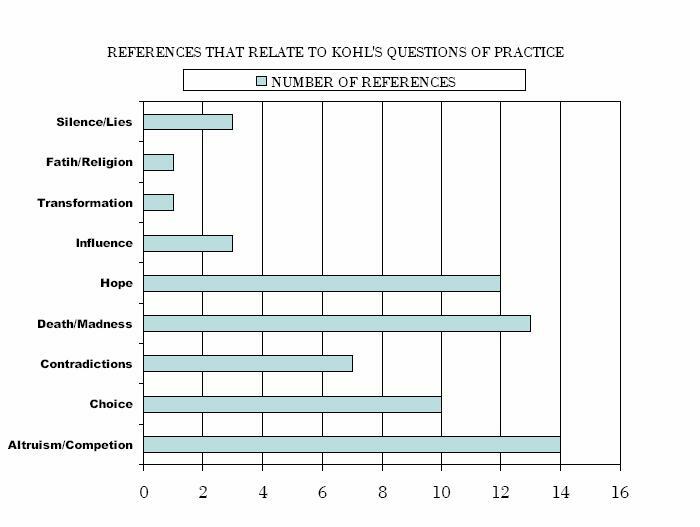 After just looking at the themes that emerged I then analyzed the data according the questions of practice raised by Kohl in his book Stupidity and Tears. This analysis was relevant to me and my teaching practice as it touches on the themes rarely discussed in classrooms so drenched in standards and standardized tests. None of these lyrics were censored by me in any way. I wanted students to feel free to express whatever came up. JulietteJuly 6, 2012I agree wholeheartedly. No matter the ciacnmstance,chruge should be embraced. With changes comes opportunities for elevation, enlightment, & expansion. And a better, connected world.Nice read.